Plodia interpunctella (Hübner) are aliases of the capping insects, mainly distributed in Ningxia, Xinjiang, Inner Mongolia and Northeast China. This pest is a miscellaneous world-wide warehouse pest that is the main pest during the storage period. The larvae eat the fruit of the loquat. The annual loss due to the storage pest is generally 5% -10%. The main kind of storage pests of goji berry in Ningxia is Plodia interpunctella HUbner. 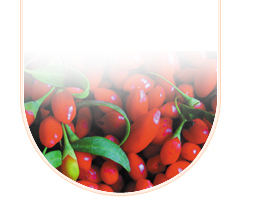 (1) Before storage, Ningxia Pure Biotechnology co.ltd are expose the goji berry the sun, keep it dry cool and clean. If larvae start to move, use aluminum phosphide for fumigation. After drying at 70°C for 1 hour, it can be sealed and stored again. (2) In the regions where the winter temperature is below 0°C, the freezing method can be used. General insects can be treated with sunlight exposure method.